A brigade from the Hard Rock Hotel Vallarta will be in charge of cleaning up El Cora Crocodile Farm, located in the El Quelele Lagoon area of Flamingos. Saturday, February 13, 2016, marks the 21st edition of the Beach Cleanup Network (BCN) organized by the Riviera Nayarit Convention and Visitors Bureau (CVB) together with hotels, private businesses, civil associations and the community at large interested in showing their love for nature. A beach cleanup event will also take place in the Natural Protected Area of the Islas Marietas National Park on Monday, February 15, 2016. 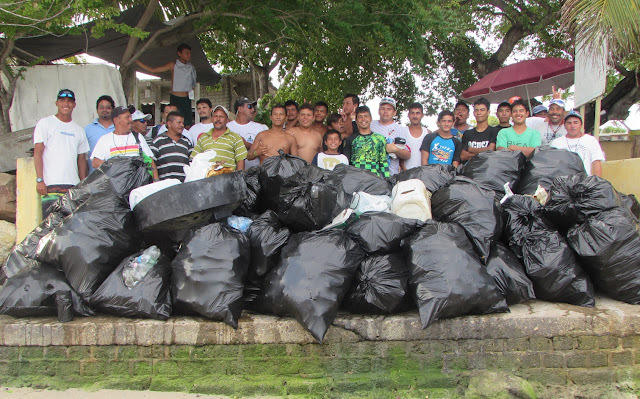 Local tourism service providers perform this cleanup exclusively as it is a difficult one. A brigade from the Hard Rock Hotel Vallarta will be in charge of cleaning up El Cora Crocodile Farm, located in the El Quelele Lagoon area of Flamingos. El Cora Crocodile Farm recently began new services aimed at creating new experiences for its visitors. The maintenance of the Crocodile Farm is an important part of the Laguna El Quelele area because of the mangrove and its environmental benefit to the region. For more information and comments, more details about the project including the hours and meeting places or would like to propose to have your community join the Riviera Nayarit Beach Cleanup Network, please call 2 97 25 16 ext. 108, and someone from the Riviera Nayarit CVB will be happy to help you.